The growing systems I've seen so far aren't something you could use to decorate your house with. That's why I was really happy to find an exception! When I first saw ZENGROWtm I was amazed by it's design. It could be held anywhere at your house or office! This growing system is not something you want to hide, it`s something you want to have as an eye-catcher. It simply looks great, with plants in it it really has the "wow! -factor. And gladly, it just doesn't look good, it works great too. 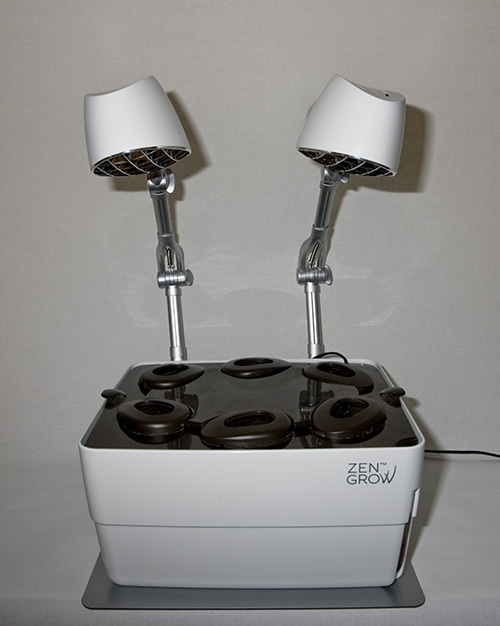 This system is very useful when used in kitchen as continuous herb supply; as you keep harvesting the plants they keep growing more yield for you to use all year long, despite the weather as the systems has two good quality energy saving lamps for ideal growing. You can buy lettuce and herbs from the local market and harvest it. 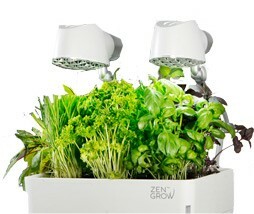 Just leave some growth and place it in ZENGROWtm and soon you will have more lettuce or herbs to use! But then you might ask, what about growing chiles with it? which makes it the easiest way of growing chiles. It also needs least taking care of, especially compared to soil pots on a windowsill. Just add water whenever needed. It´s possible to leave it be even for several weeks when you`re away. 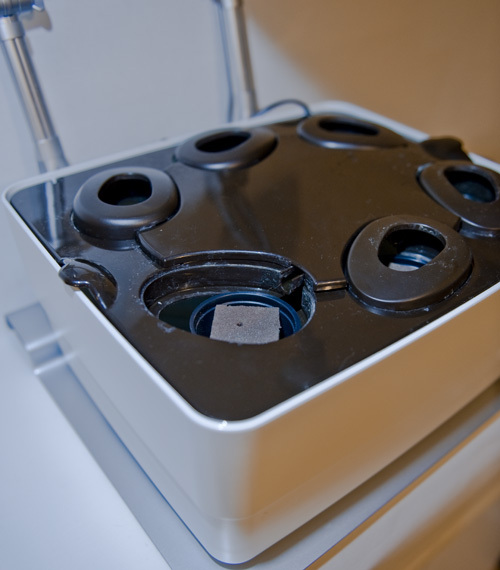 You can even germinate seeds in this system which means absolutely no unnecessary handling of germinated seedlings. For your first plants, you might want to select some smaller plants or varieties. In a case of chile plants, it will be easier to grow plants that are small and bushy, but you can also grow large plants and simply keep cutting them to keep them small. 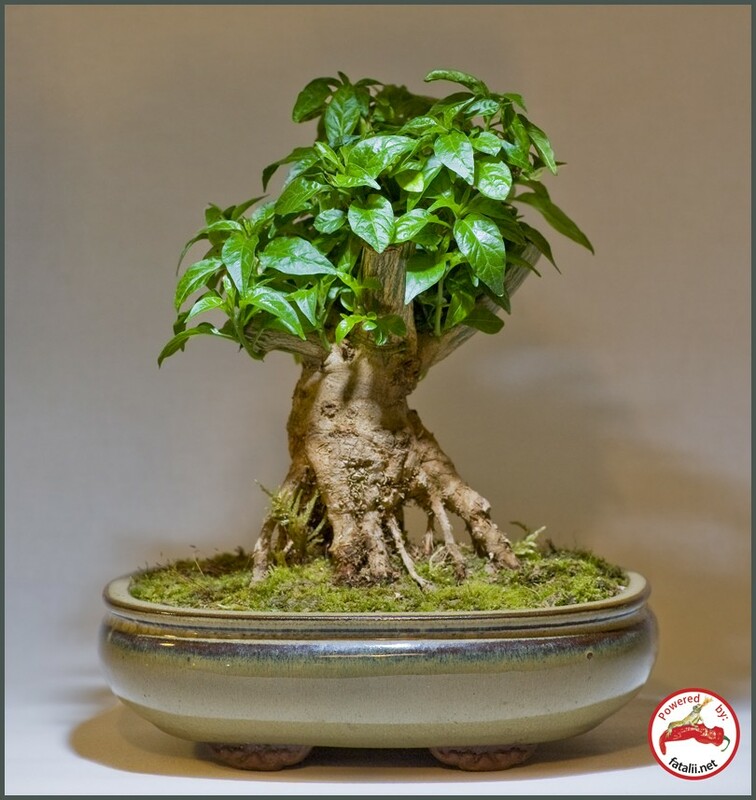 Also, Bonsai-chiles (example) are great subject to grow in this system and they make ZENGROWtm look even better! There are even some seed collections which make the decisions much easier. They all contain varieties which are suitable for ZENGROWtm. Place the cube in the ZENGROWtm and you are almost done already! This is how easy it will actually be! 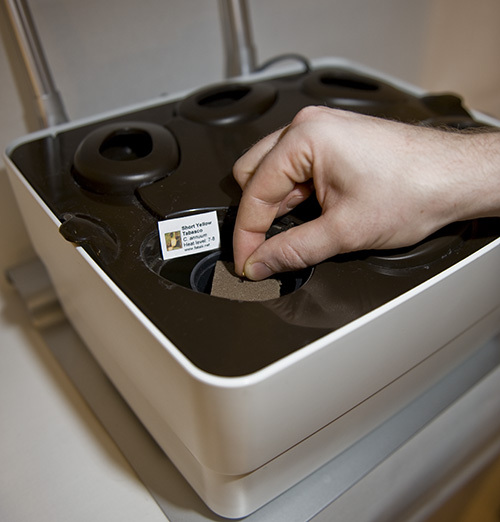 Then just place the seed(s) in a germinating cube. You can drop a few seeds per variety per cube. You can also poke more holes to germinating cube for more seeds. Just label the varieties properly. Now, just plug in the power cords. 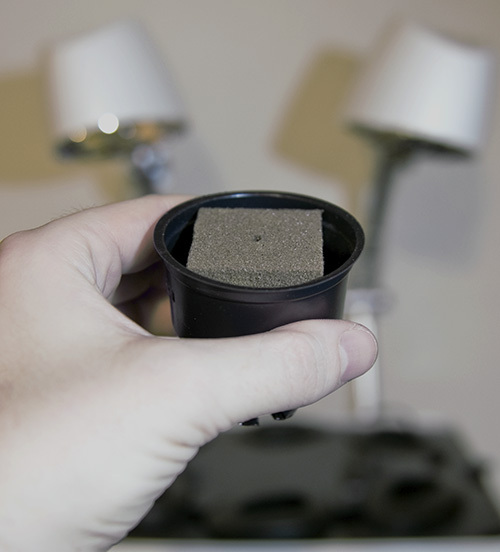 but you can use the lamp to heat the cubes and water for better germinating percent. Just place them close to cubes. After a week or two you should see seedlings sprouting from the cubes. If there are several seedlings sprouting from single cube, you can pinch off the weakest, if you want. This is how the system looks on top of my cabinet until the seedlings rise above the covers. Can't wait how it looks with the chile plants full of pods! 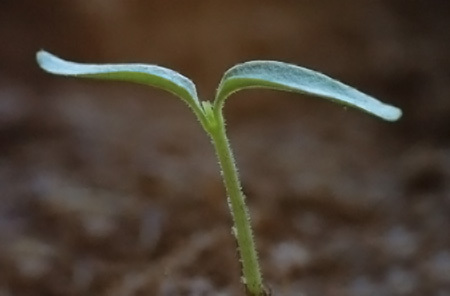 -ideally change the water every two weeks and add a nutrient tablet at seedling stages. -when the plants are bigger you might want to add second tablet with every change of water. You can use hydroponic nutrients of your choice. (the first narrow pair of leaves are seed leaves). -Use scissors to cut the excessive growth of stems. 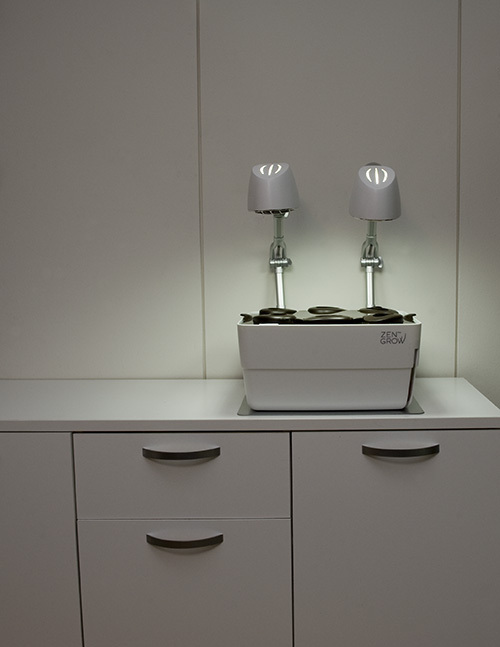 The lamps close to the plants should keep the plants bushy and compact. If you want you growing to be decorative in your home and you don't want to spend too much time on the actual growing, or you just want to try growing chiles or any other herbs you choose, then this is the ideal system for you! Very compact and easy to maintain. More pictures and articles to come as the season progresses! 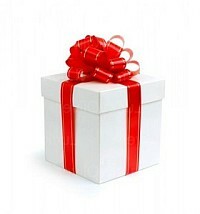 TIP: hard to decide a good xmas present? You just found a perfect one for the whole family!